A time when God’s own country decorates courtyards with floral carpets… Adorns new clothes… Prepares lips-smacking feasts and welcomes King Mahabali… Kerala smiles and dances in glee thereby assuring the king that they are happy and are living prosperously!!! 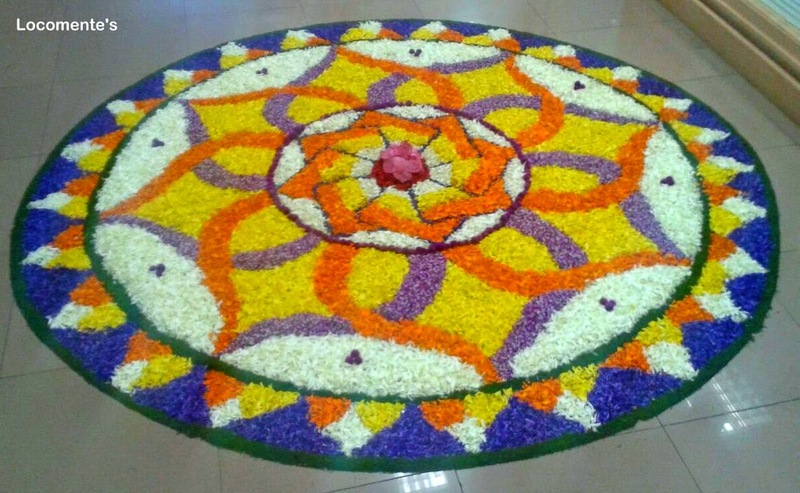 And, here I am wishing you all a HAPPY ONAM…!!! PS: Thanks to my friends for letting me share the pictures. What will I do without you?!! 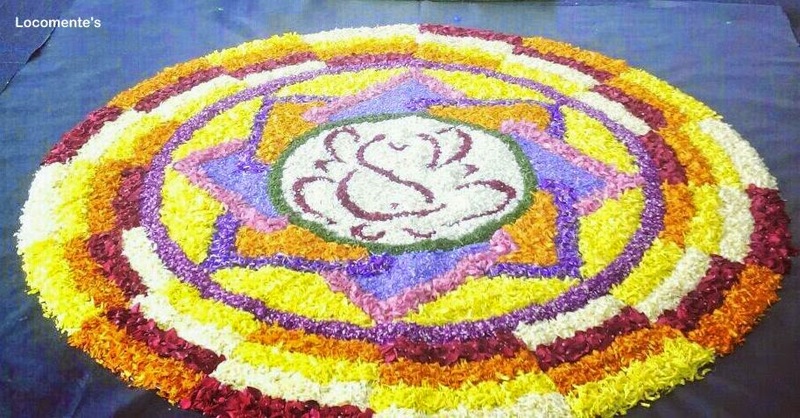 What strikes me rather tepidly when people talk about Onam is the usual eloquent mention of attha pookalam . Pardon me if I sound a tad cheeky. Attha pooklams are these days enlivened by flowers that are brought from far away Tamilnad villages,liberally sprayed with pesticides and bought commercially. In a way a good solution to the erosion of country sides in Kerala and the vanished green. I can only recall the days of my generation in childhood some 40 years ago and at the same time feel pity for a generation that could not understand if I tell them the thrill and euphoria the excitement of hunting neighborhoods for flowers blooming on plants and trees , collecting them early before dawn and bringing alive the atha pooklams. Onam is a pale shadow of the lost days. Onam is a mere (fading) shadow of the lost days. Happy Onam Locomente! They are beautiful creations. To think that the fresh flowers can only last for that long. Looking at them though it is well worth the efforts!